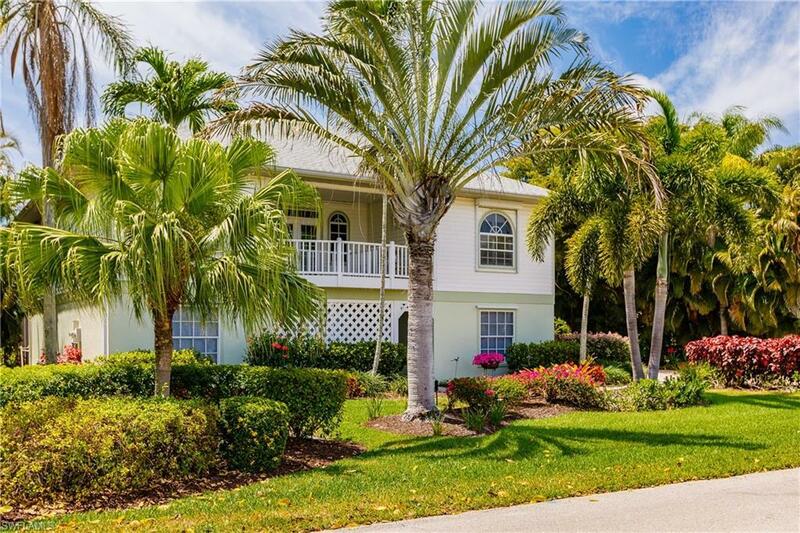 1476 Sand Castle Rd, Sanibel, FL 33957 (MLS #218037436) :: Clausen Properties, Inc. 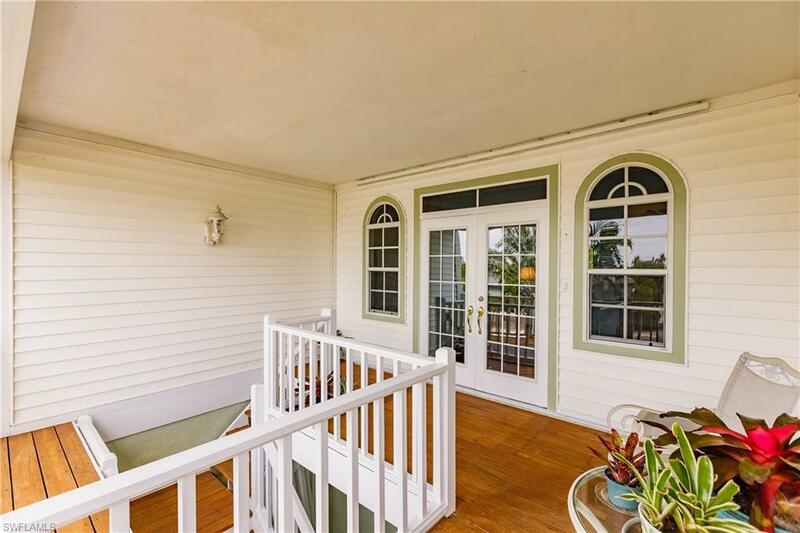 This charming Sanibel style "cottage offers complete privacy amid native and tropical plants. Enter the glass double entry doors to an inviting great room with stunning wood floors, vaulted ceilings & tall pocketed sliders. 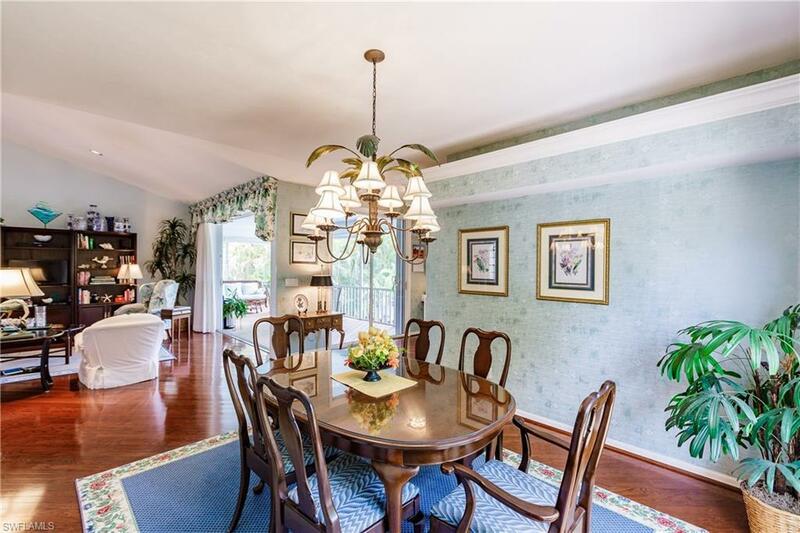 The adjacent dining area is large enough for casual or elegant entertaining. The kitchen is updated, bright & efficient. The spacious master suite bath has double sinks & large walk in closets. The bedroom opens to the screened lanai letting you awaken to the sounds of the island. The recently updated guest bath is lovely. There are two bedrooms in this wing plus a closeted laundry room. One Bedroom could easily be a home office or library. Conveniently located near the Sanibel Causeway allowing for easy on and off-island access. The Dunes Golf and Tennis Club offers a semi-private golf course, driving range, golf shop, pool, tennis, clubhouse and award winning restaurant. 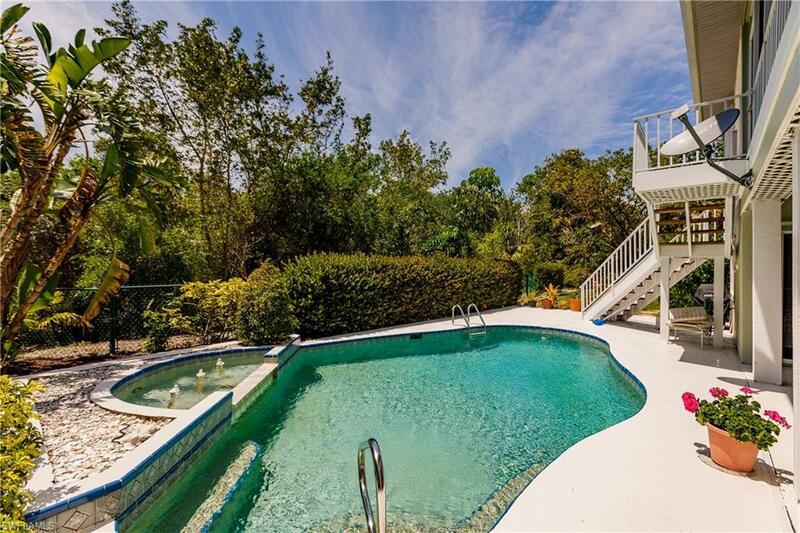 Make 1476 Sand Castle Rd your new Sanibel Address. © 2019 Florida Gulf Coast Multiple Listing Service, Inc. All rights reserved. The data relating to real estate for sale or lease on this web site comes in part from FGCMLS. Data deemed reliable but not guaranteed.IDX information is provided exclusively for consumers' personal, non-commercial use and may not be used for any purpose other than to identify prospective properties consumers may be interested in purchasing. Information is deemed reliable but is not guaranteed accurate by the MLS or Clausen Properties, Inc.. Data last updated 2019-04-20T00:22:54.563. © 2019 Marco Island Area Association of Realtors MLS. All rights reserved. IDX information is provided exclusively for consumers' personal, non-commercial use and may not be used for any purpose other than to identify prospective properties consumers may be interested in purchasing. Information is deemed reliable but is not guaranteed accurate by the MLS or Clausen Properties, Inc.. Data last updated: 2019-04-19T23:41:19.717. The data relating to real estate for sale on this limited electronic display come in part from the Broker Reciprocity Program (BR Program) of M.L.S. of Naples, Inc. Properties listed with brokerage firms other than Clausen Properties, Inc. are marked with the BR Program Icon or the BR House Icon and detailed information about them includes the name of the Listing Brokers. The properties displayed may not be all the properties available through the BR Program. The accuracy of this information is not warranted or guaranteed. This information should be independently verified if any person intends to engage in a transaction in reliance upon it. Data last updated 2019-04-20T00:25:37.827. Some properties that appear for sale on this website may no longer be available. For the most current information, contact Clausen Properties, Inc., 239 394 1870, . Licensed in the State of Florida. The data relating to real estate for sale displayed on this Website comes in part from the Multiple Listing Service of the Bonita Springs-Estero Association of REALTORS®, Inc., under License No. 3035763. Properties displayed on this Website include properties listed with brokerage firms other than Clausen Properties, Inc.. Detailed information about such properties includes the name of the brokerage firm with which the seller has listed the property. The properties displayed may not be all the properties listed with brokerage firms participating in the Bonita Springs-Estero Association of REALTORS® Multiple Listing Service, or contained in the database compilation of the Bonita Springs-Estero Association of REALTORS® Multiple Listing Service. Data last updated 2019-04-20T00:28:19.183.